Amazon.com Price: $22.97 (as of 2019-04-22 02:14:15 GMT) Product prices and availability are accurate as of the date/time indicated and are subject to change. Any price and availability information displayed on Amazon.com at the time of purchase will apply to the purchase of this product. 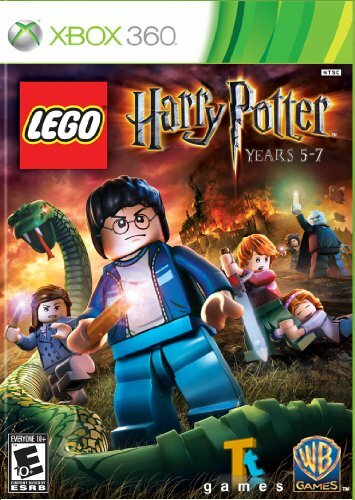 Based on the last three Harry Potter books and final four films, LEGO Harry Potter: Years 5-7 takes players through Harry Potter’s heroic adventures in the Muggle and wizarding worlds. From Privet Drive in Little Whinging to Diagon Alley, Hogsmeade and Hogwarts – plus new locations including Grimmauld Place, the Ministry of Magic, and Godric’s Hollow – players will encounter new faces, new challenges and new magic, preparing them for the ultimate face-off against Lord Voldemort.